When will be Realitystjärnorna på godset next episode air date? Is Realitystjärnorna på godset renewed or cancelled? Where to countdown Realitystjärnorna på godset air dates? Is Realitystjärnorna på godset worth watching? Reality Stars on the Estate is a Swedish reality series produced by Mexico Media TV3 Sweden. The series takes place on Yxtaholms Castle. The original name was The Reality Stars in the Castle, which alludes to Swedish television program Stars in the Castle. However following complaints from SVT, the program changed name. Realitystjärnorna på godset next episode air date provides TVMaze for you.  EpisoDate.com is your TV show guide to Countdown Realitystjärnorna på godset Episode Air Dates and to stay in touch with Realitystjärnorna på godset next episode Air Date and your others favorite TV Shows. Add the shows you like to a "Watchlist" and let the site take it from there.